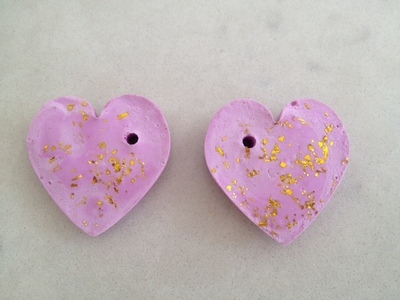 These cast plaster heart charms are fun to make and would make a great gift for Mother's Day or Valentines Day. 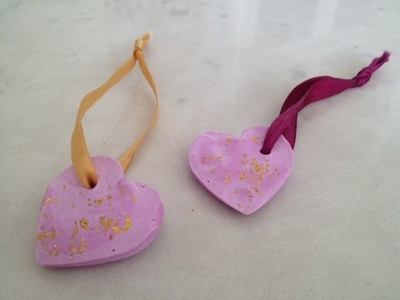 You could also hang them on a Christmas tree or your own decorative tree at any time of the year, or tie them on to a present for some glamorous wrapping. 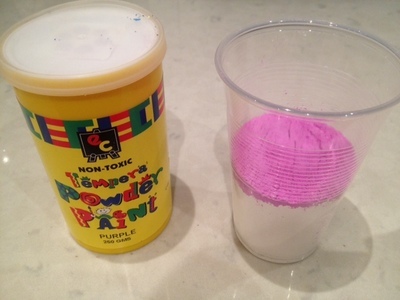 Put the plaster powder in an old plastic cup or tub and add several tablespoons of tempera (poster) powder paint. Mix the powders. Avoid skin contact and be careful not to inhale any powder. Mix the plaster according to the manufacturers instructions. We used two parts plaster to one part water. 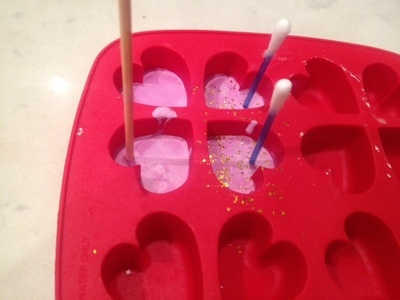 We added the coloured plaster powder to the water and stirred until there were no lumps. Don't pour wet plaster down the sink as it could harden in the pipes - instead mix your plaster in a disposable cup or tub and then throw away any excess in the rubbish. Poke the skewer right the way through to complete the hole then remove and discard. 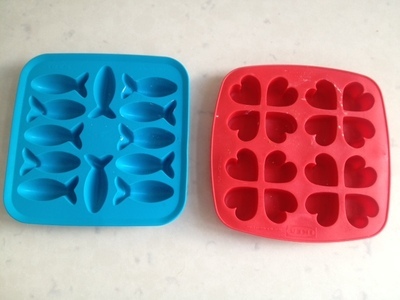 You could make different shapes too - like these little fish. 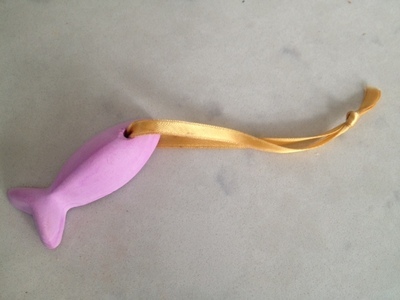 You could varnish your finished charm. If you don't have powder paint you could choose to make a neutral batch and then decorate the finished charm with acrylic paint. 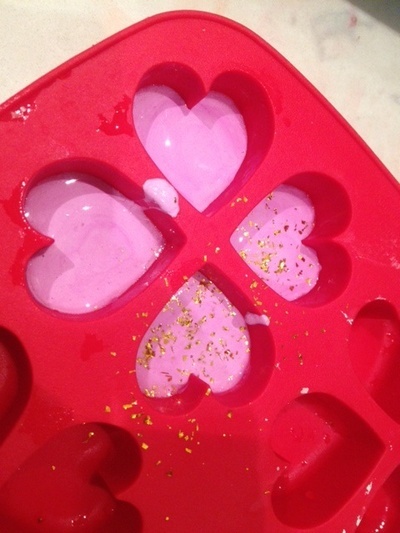 Why not make up a bigger batch of plaster mix and make a heart coaster or some plaster creatures to decorate too?